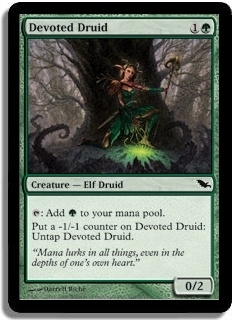 First tap Devoted druid for it's mana. Untap it by putting a -1/-1 counter on it. 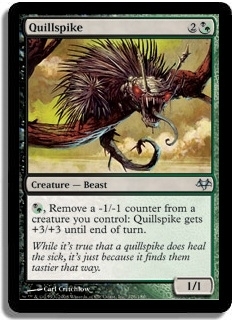 Use the green mana you got from the druid to remove the counter and give Quilspike +3/+3. Repeat unlimited amount of times. 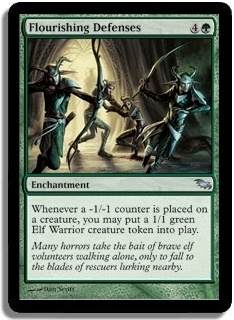 The Flourishing Defenses are optional, they'll provide you with an unlimited amount of 1/1 elve tokens for putting the -1/-1 counters on the Druid though.